Who’s monitoring your healthcare network? Cutting-edge technology will shape the future of healthcare. Thanks to the emergence and proliferation of cutting-edge technology, the healthcare landscape is rapidly evolving. Mobile apps, the Internet of Things, digital platforms and many more technologies have radically changed the way medical facilities operate, and have ultimately led to more efficient operations and better patient care. All of the latest and most beneficial healthcare tech shares one common thread: It relies on robust network performance to run consistently at a high performance level. Latency, bottlenecks, bandwidth drops and other network issues can negatively impact connected devices, healthcare apps and even medical equipment. Healthcare officials must ensure that their networks are running at optimal levels at all times, which requires comprehensive visibility from end to end. How many, however, can confidently answer this question: Who's monitoring your healthcare network? There are enormous opportunities for healthcare facilities to improve quality of care, patient experience and overall health with the help of emerging technology. Digital portals allow patients to schedule appointments, view test results and review their medical charts with ease and convenience. Connected devices help physicians keep tabs on high-risk patients, enabling them to remotely monitor vital signs for any deviations that could indicate an increase in health risk factors and portend a more serious ailment. By more closely monitoring patients' day-to-day activity, eating habits, heart rate, body temperature, blood pressure and other metrics, physicians can respond proactively to medical red flags, preventing major health events and reducing overall treatment costs. The potential of IoT, in particular, has driven investment in new healthcare technology: A recent Aruba study, 60 percent of healthcare organizations have implemented IoT devices at their facilities. Seventy-three percent of those organizations have subsequently seen their operating costs go down as a result of embracing IoT. 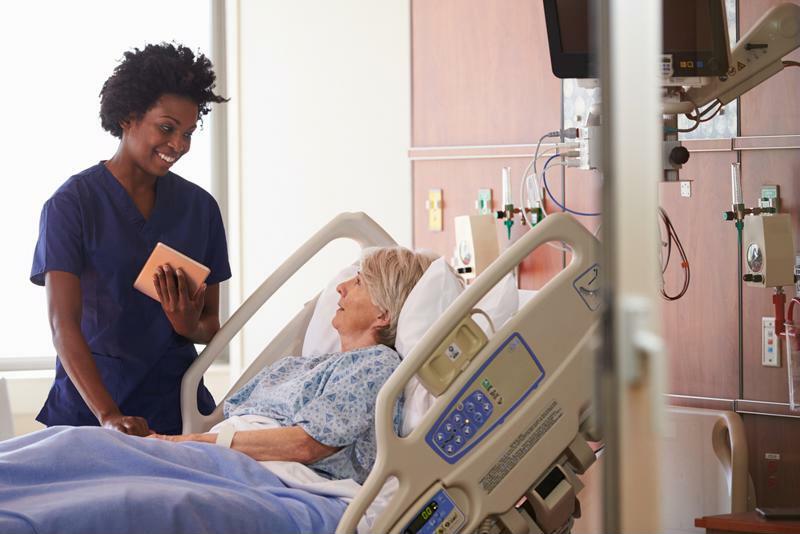 The future of healthcare demands consistently fast and available networks, and network monitoring tools are the only way to ensure that medical facilities are able to hit those high benchmarks. IoT devices enable medical providers to keep close tabs on their patients at all times. Downtime and poor network performance are problematic in any setting, but for healthcare organizations, a slow or unresponsive network could be a matter of life and death. Healthcare-focused network monitoring tools allow officials to identify issues before they become much larger – and graver – concerns. "Review vendors' past experience working in the healthcare industry." When choosing a network monitoring solution, stakeholders and decision-makers should review vendors' past experience working in the healthcare industry. Do they have a reliable track record of maintaining optimal network performance levels and dynamically responding to traffic and bandwidth changes to adjust things accordingly? Do they have a failover plan in the event that an unexpected outage adversely affects your healthcare network? Another important aspect to consider is a vendor's ability to meet stringent medical industry regulations and compliance demands. It's essential that organizations only work with service providers that will help navigate the constantly evolving and often-labyrinthine rules and requirements laid out by HIPAA, HITECH and the like. To guarantee successful implementation of your network monitoring tools, don't settle for anything less than the best IT services NYC can offer. TEKConn has the advanced technology, local presence and experienced team needed to tackle any healthcare IT project in the New York area.